WE LOVE TO FRAME AND TELL YOUR STORY WITH A DISCREET AND ATTENTIVE EYE, WHILE CATCHING EVERY DETAIL AND CAREFULLY REPORTING IT. A story told through sounds, images and emotions. An authentic, genuine memory of a pure romance. 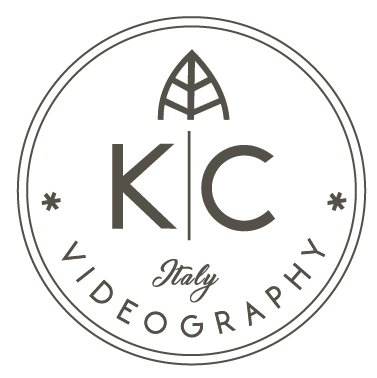 We are dedicated and committed to the latest videography techniques and equipment, and offer state of the art videography gear and professional editing; in order to deliver the best service, we regularly attend professional videography courses in Italy and abroad. Despite being up to speed with the latest, our goal is to film with authenticity and we therefore avoid the use of special effects or artefacts. Every film is recorded on camera and edited in our studio. As we invest all the time and creativity necessary to produce each film, we do not commit to more than one event a day. A story told through sounds, images and emotions. An authentic, genuine memory of a pure romance. I’ve always been fascinated by all creative and manual talents, and the uniqueness of what they produce, but also by the humanity found in each and every one, imbued in every creation. My own deep-rooted passions are film, music, graphics, illustration, and photography. I like my personality to show through in my work, I like to evoke emotions and humanity, with patience, precision and with great delicacy and discretion. I seek to make every project unique, to bring to life every sensation and perception of the day through light, real sounds, open-shot images that also say something about the setting. I live in Tuscany, a place that casts a spell, entrancing you with its charm, its quiet, as well as its contrasts. Every story I tell also says a little about my town, about Italy, its vistas, its traditions, and about warm-hearted Italians.